Amblyopia is defined as the loss of visual function in an otherwise healthy eye. It has been clinically defined as a reduced visual acuity (VA) in one or both eyes (Chen and Cotter, 2016). This loss of function is usually accompanied by developmental factors such as strabismus, cataracts (unilateral), anisometropia and the presence of high refractive error (Birch, 2013). The above mentioned definition can further be explained by stating that the loss of visual function cannot be restored by means of refractive correction and/or surgery to remove any obstructing pathology such as cataracts (Chuka-Okosa, 2004). In addition to the presence of strabismus, anisometropia, high refractive error and cataracts, the development of amblyopia includes an immature visual pathway and it almost always occurs before the age of 7 years. The years before the age of 7 are termed as the “critical period” (Byrd and Ramasubramanian, 2016). It is that interval during which synaptic connections are most vulnerable to change. The critical period may vary depending on the type and cause of the amblyopia, but in most cases it is defined as mentioned. Brain plasticity, also known as neuroplasticity, is a term that refers to the brain’s ability to change and adapt as a result of new experiences. Neuro represents neurons, the nerve cells that are the building blocks of the brain and nervous system, and plasticity that refers to the brain’s malleability. The human brain is composed of approximately 86 billion neurons. For years it was believed that creations of new neurons stopped shortly after birth. Today it is understood that the brain possesses the remarkable capacity to reorganize pathways, create new connections and, in some cases, even create new neurons. The precise age is not known, but extends from birth to 4 or 7 years of age with plasticity (synaptic connections in the nervous system, be subject to environment influences) remaining up to 9 years of age. Plasticity does not disappear altogether. If amblyogenic factors are not addressed during this critical period, poor binocularity will result due to the competitive inhibition leading to eventual amblyopia (Byrd and Ramasubramanian, 2016). Every human being is born with a basic visual system which matures with age and most importantly, competitive visual interaction from both the left and right eyes. Any factors that inhibit interaction between the two eyes, results in the visual pathway not reaching adult levels of processing (Campos, E, 1995). Amblyopia was initially not very well understood but recent research by Sloper, (2016) has shed some light on the pathophysiology of amblyopia. He talks about a study performed on primates which can be directly correlated to humans using a 1:4 ratio, that is, any developmental stages described in a 1week old primate would be happening at 1 month in a human. Various anatomical changes occur along and within the visual pathway following monocular or binocular visual deprivation. 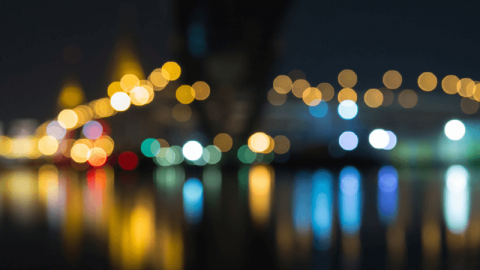 These changes may not directly be related to visual function but they do give us some insight into the abnormal, compromised vision and visual development that exists in amblyopia. The lateral geniculate nucleus (LGN) plays a role in understanding the physiology associated with amblyopia. The LGN is the main center to which the primary sensory inputs from the retina are relayed (Sloper, 2016). These inputs are then sent to the primary visual cortex which enables the brain to process visual cues and targets (Sloper, J, 2016). A study done by Le Vay, Hubel and Wiesel, (1980) explained that axons which travel to the LGN get separated into ocular dominance bands within the first 3 weeks of life. In cases of monocular deprivation at birth, the bands from the eye that is deprived are much narrower in comparison to the bands of the other eye. After further investigation, they concluded that neurons in the visual cortex reacted more to impulses from the “open/active” eye. Occlusion of one eye at birth seems to have an effect on cell size at the LGN. Cells of the deprived eye seem to be at least 25% smaller than those from the adjacent eye (Sloper, 2016). The initial understanding was that these cells had shrunken, but the fact of the matter is that cells of the undeprived eye experienced hypertrophy (Sloper, 2016). The LGN is made up of 6 layers which are equally divided into magnocellular and parvocellular layers. The cells mentioned above are cells from within these respective layers. However, the cells from the two layers respond to deprivation differently. The parvocellular layer undergoes more change in cell size, especially in late-onset amblyopia, whereas the cells in the magnocellular layer do not experience any drastic changes. The magno and parvo cells have their own contributions to visual function. The magno cells allow us to detect motion and gross detail and the parvo cells are responsible for colour detection and finer detail (Sloper, 2016). Since these two types of cells are affected at the LGN in amblyopia, one can conclude that disruptions in visual functioning are not limited to acuity reduction on the Snellen or Snellen equivalent charts but also to colour recognition, contrast sensitivity and motion. Motion is not as compromised as colour and contrast sensitivity due to the minimal changes that occur to the magnocellular layers (Sloper, 2016). There are four main types of amblyopia which are named directly by their respective causes, that is, strabismic, refractive (either anisometropic or isometropic) and deprivational. Firstly, let us look into refractive amblyopia. Refractive amblyopia is currently the second main cause of amblyopia is children, after strabismic amblyopia (Braverman, 2012), It can be divided into anisometropic and isometropic. Anisometropic amblyopia usually results in unilateral amblyopia whereas isometropic amblyopia leads to bilateral amblyopia of the same proportion due to an equally significant amount of refractive error in both eyes. Anisometropic amblyopia results from an unequal refractive state between the two eyes (Chuka-Okosa, 2004). It can result in unilateral loss of function in an eye in the cases where anisohyperopia is 1 – 1.5 D, anisomyopia is 3–4 D and anisoastigmatism is more than 2 D (Chuka-Okosa, 2004). This unequal refractive state imposes a constant defocus and image blur on the retina and obvious competition for focus between the two eyes. The visual cortex in the brain is unable to successfully fuse the two images due to the large difference in image blurs on the retina and therefore, inhibits impulses from the weaker eye. 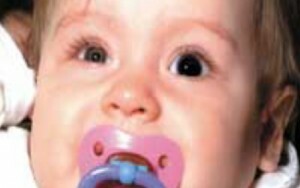 Unfortunately the detection of this type of amblyopia occurs very late, especially if it is not accompanied by an ocular deviation (strabismus), which limits the treatment options making the prognosis poor (Chuka-Okosa, 2004). Isometropic amblyopia exists when there is more than 5–6 D of myopia, 4-5 D of hyperopia or 2 D of astigmatism (Braverman. 2012). As stated before, this is a bilateral phenomenon. The concept for this type of amblyopia is similar to that of anisometropia, but the reduction in acuity is not as drastic (Chuka-Okosa, 2004). The other types of amblyopia are related more to the developmental anomalies. In cases where a prominent strabismus is present, the deviated eye cannot focus on the same image as the “straight” eye and therefore visual inputs from the deviating eye are ignored, leading to unilateral amblyopia (Chuka-Okosa, 2004). Physiologically speaking, strabismic amblyopia is a consequence of dissimilar neuronal impulses reaching the visual cortex. The brain is unable to fuse the two images and as a result, ignores impulses from the non-fixating eye. This type of amblyopia is the most common and is seen in children with eso-deviations as oppose to exo-deviations. This is because most exo-deviations are seen as intermittent and not constant (Chuka-Okosa, 2004). Lastly, deprivational amblyopia occurs when one or both eyes have obstructions within the eye that allow minimal visual stimulation to occur. 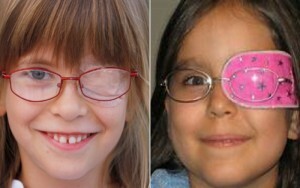 This is the least common yet most damaging type of amblyopia (Chuka-Okosa, 2004). Some examples of such are corneal opacities, cataracts and corneal scarring. Over and above these four types, Chavasse (Maggi, 1958) further categorized amblyopia as amblyopia by arrest and amblyopia by extinction. The former is explained using the plastic period of macular development. Between birth and the age of 6, the macula undergoes some developmental changes (Maggi, 1958). However, if a deviation or obstruction occurs in the eyes at this stage, the macula ceases to develop and the visual acuity of the eye ceases to improve. Unfortunately, the lost vision is never regained (Maggi, 1958). In the latter, sufficient visual acuity has developed but is lost due to disuse or inhibition of the eye. A VA of 6/12 or worse in the amblyopic eye and a two line difference in acuities between the amblyopic eye and the fixating eye. Moderate amblyopia is when the VA is between 6/12- 6/60. A patient is classified as a severe amblyope when the VA is recorded to be worse that 6/60. It may be difficult to test VAs in younger children. However, the following three test may be used to test the acuity: forced preferential looking test, the fixation test and the optotype recognition test. Additionally, a practitioner can use the CSM procedure to assist (Chuka-Okosa, 2004). C stands for the evaluation of corneal reflexes whilst one eye is closed/occluded. The reflex is monitored for centrality and for eccentric fixation. S is for steadiness of the fixation whilst one eye is covered and M that refers to the maintenance of fixation, tested under binocular conditions. The results of the CSM procedure allows for an indication of acuity. If equal and steady fixation is noted in both eyes, the practitioner can predict that there will be almost equal acuity in both eyes. In the case where one eye is unable to maintain fixation, it would be safe to assume that the acuities between the two eyes is significantly different and requires further investigation (Chuka-Okosa, 2004). Strabismic amblyopia can identified quite easily. This is important because it is the most common type of amblyopia and early detection may improve the prognosis. The following four tests are essential and patients with strabismic amblyopia typically present with these features (Chuka-Okosa, 2004). Grating Acuity: These acuity cards have uniformly spaced black and white stripes which directly correlate to the Snellen acuity chart. This test measures the eye’s ability to detect minimal separations between the stripes. Patients with strabismic amblyopia tend to get a better result when identifying gratings in comparison to the Snellen letters. This occurs because there is minimal amounts of deformation when identifying gratings over Snellen letters. Eccentric fixation: This refers to region of the retina utilized, other than the foveal region, for viewing in the amblyopic eye. Identification of this phenomenon is carried out using an ophthalmoscope and performing visuoscopy or by using specialized equipment such as the synoptophore. Crowding phenomenon: The receptive fields in an amblyopic eye are unusually large and may lead to crowding. Acuities measured using single letters yield a better result compared to a full line presentation. Neutral-density filters: In a strabismic eye, the visual acuity is seen to decrease significantly compared to the normal eye. Amblyopia has always been a major concern within the health community as it affect 5% of the general population. As stated within the literature by Al-Yahya et al., (2012), amblyopia usually presents within the critical period of visual development. Early detection is imperative to ensure that functional vision is regained. Accurately diagnosing amblyopia and pinpointing it’s etiology can enhance a person’s lifestyle. I say this because if amblyopia is diagnosed early, the appropriate interventions can be put into place to actively increase the visual acuity in the amblyogenic eye. 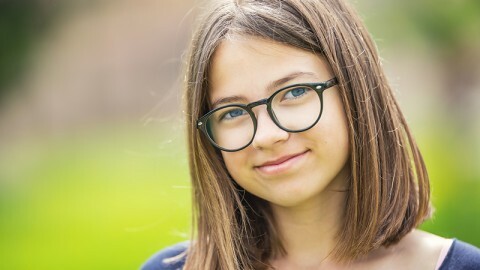 Amblyopia can present with a few signs and symptoms, although very subtle, they may assist the health care practitioner to reach a clinical conclusion. These signs and symptoms are reduced contrast sensitivity, abnormal spatial relationships, poor binocularity, low accommodative ability, irregular eye movements and suppression (tested using the Worth 4-Dot torch). Along with these, the child may experience slower reading times compared to other children of their age groups and a reduction in fine-motor skills (Al-Yahya, 2012). In the 1800’s, the treatment option for amblyopia was limited to patching of the fixating eye to stimulate the amblyogenic eye. The period of time that the patching needed to be carried out was solely dependant on the severity of the condition. The recommendations for moderate amblyopia were 6 hours of patching and for severe amblyopia was constant patching. This criteria has since been modified to 2 hours and 6 hours respectively. See Figures 1 and 2. There are various other treatment options available to the patients now. Amblyopia Treatment Studies (ATS) were conducted by the Paediatric Eye Disease Investigator Group (PEDIG) to explore the options and narrow in on the clinical and long term implications of certain treatments. Figure 1. Some methods of eye-patching. Figure 2. An occluder contact lens in OS for amblyopia therapy and a Silsoft aphakic lens OD. Prescribing spectacles for amblyopes should be dictated by the cycloplegic refraction. The full optical correction is prescribed for all types of ammetropia. Check ups are mandatory after every 6-8weeks until the VA plateaus, after which additional treatment must be initiated, over and above the spectacle compensation. A further investigation was carried out by using spectacle correction to treat binocular isometropic amblyopia in children between the ages of 3-10 years experiencing high magnitudes of hyperopia (greater than 4 D). This treatment yielded good results, improving VA by up to 4 lines on the VA chart. The effect of the treatment however occurred after a longer period of time compared to unilateral amblyopia. 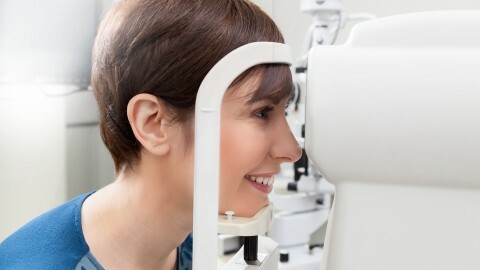 Visual acuity was seen to improve after 1 year. An interesting outcome was noted. The worse the severity of amblyopia, the better the results were after treatment. An additional preferred outcome was that near stereopsis improved, showing a slight increase in binocularity in the children’s visual systems. In cases where optical treatment proved ineffective, patching techniques are used. Enhancements in patching techniques have been made since the 1800s. There are various methods that can be employed, such as conventional part-time patching, atropine penalization and Bangerter filters (see Figure 3). As mentioned earlier, the period of patching used to be very high. Recent studies have indicated that shorter periods of patching increases compliance and is just as effective as long periods of patching. Moderate amblyopia requires 2 hours of patching a day with 1 hour of active near work compared to what was previously stated as 6 hours and severe amblyopia requires 6 hours of patching with 1 hour of near work as opposed to full time patching (Chen and Cotter, 2016). When using atropine as a treatment for amblyopia, 1% of atropine sulphate is administered in the non-amblyogenic eye. This paralyses the accommodative mechanism resulting in blurred vision at all distances (Chen and Cotter, 2016). An ATS study was undertaken to compare the outcomes of patching versus atropine penalization in the eyes of children between the ages of 3-7years. With both treatments, the results were the same, the same VA improvement was seen in both groups showing that either method is effective (Chen and Cotter, 2016). Figure 3. Bangerter foils are available in a range (0.1–1.0) whose numerical designation is intended to represent the level to which visual acuity is reduced by the filter. Due to the different severities of amblyopia, different treatment regime s need to be used. In the case of atropine penalization, it is mainly used for moderate types of amblyopia. The atropine is administered in the “good” eye over the weekends and not daily. In children with severe amblyopia, atropine instillation is not recommended because the vision rendered after paralyzing the accommodative system in the non-amblyogenic eye will still be better than the amblyogenic eye and the visual system will continue to favour the eye with better vision. Lastly, a practitioner can prescribe Bangerter filters as a treatment option (Chen and Cotter, 2016). This option works very well in instances where VA does not improve with the use of spectacles or atropine penalization techniques. 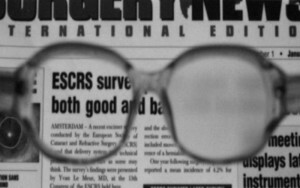 A Bangerter filter is an opaque lens that can be fitted into a spectacle frame. These lenses come in varying densities and the choice of the density filter is dictated by the severity of the condition. There a numerous advantages to these lenses. The density of the filter can be altered depending of the progression or regression of the amblyopia. In situations where the amblyopia is improving, the filter density can be reduced and the existing filter can be replaced making it an economical option. There is less binocular disruption with the use of these filters compared to the other two treatment options discussed. Compliance towards this type of treatment is seen to be significantly higher than that with patching (Wang, 2015). However, there is one disadvantage. It is fairly easy for the child to peak “out of the lens” when using these filters, and therefore the eye is not always occluded according to the treatment plan. Many questions arise when analyzing the treatment options of amblyopia. All of the treatments include occlusion of the functional eye and this raises the question of “reverse amblyopia”. The main concern of this phenomenon is that the occlusion of the unaffected eye may lead to amblyopia in that eye due to a loss of visual stimulation. This rarely occurs and when it does, it is seen to be a very temporary loss in visual acuity which is regained over a short period of time. Furthermore, recent technological developments have been made in an attempt to increase binocularity in amblyopic patients. An iPad has been used to do so (Handa et al., 2015). The polarizing film layer on the liquid crystal display (LCD) has been removed from the iPad so that polarizing glasses are required to be worn when carrying out this treatment A game called “catch-the-ants” is loaded on these modified iPads in which the amblyopic eye sees the ants. The primary aim of the game is to find the ants and drag them into the cage. 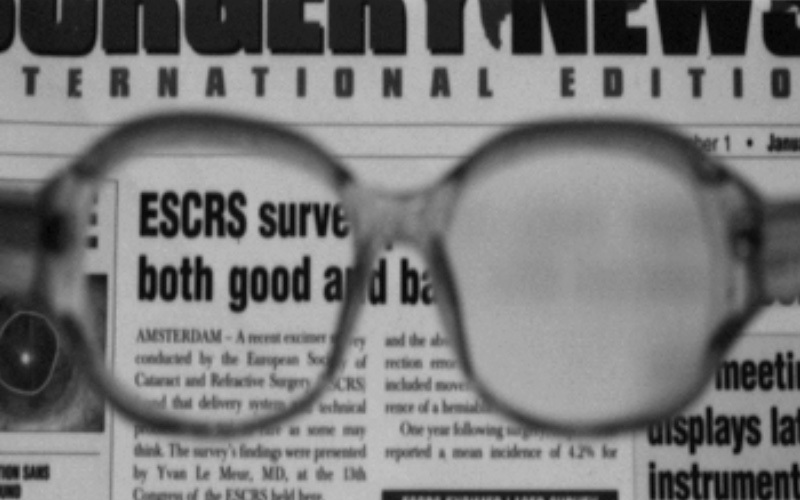 When using the polarizing glasses, certain aspects of the game are seen monocularly and others are binocularly viewed. This is an attempt to both stimulate the amblyopic eye and promote binocularity between the two eyes. Studies are yet to be carried out to determine the efficiency of this game. Throughout the article, compliance has been mentioned on several occasions. Compliance is an issue that arises due to inadequate education to the parents or guardians. The importance of patching, atropine penalization and/or Bengerter filters needs to be communicated to the parents on multiple occasions. Better compliance leads to better visual function. In conclusion, amblyopia is a serious ocular condition that occurs in many children. This condition not only has visual effects but also can produce psychological effects too. The child may not be able to participate in certain sporting activities at school, may reduce school performance and later on, may even restrict career options. These can have an effect on the child’s attitude and mental stability leading to depression and anxiety. Health care practitioners, specifically optometrists need to be more active in diagnosing and more importantly managing patient to the best of their ability to ensure a good quality of life and wellbeing. Vanisha Desai (BSc, BOptom) and Anthony Carlson (MPhil). Department of Optometry, University of Johannesburg, P O Box 17717 Doornfontein 2000. Al-Yahya, A., Al-Odan, K., Allam, K., Al-Onazi, B., Mousa, A. and A. Al-Saleh, A. (2012). Compliance to patching in the treatment of amblyopia. Saudi Journal of Ophthalmology, 26(3), pp.305-307. Birch, E. (2013). Amblyopia and binocular vision. Progress in Retinal and Eye Research, 33, pp.67-84. Braverman, R. (2012). Types of Amblyopia. [online] American Academy of Ophthalmology. Available at: https://www.aao.org/disease-review/types-of-amblyopia [Accessed 8 Oct. 2018]. Byrd, J. and Ramasubramanian, A. (2016). Amblyopia in the Twenty-First Century. Advances in Ophthalmology and Optometry, 1(1), pp.181-192. Campos, E. (1995). Amblyopia. Survey of Ophthalmology, 40(1), pp.23-39. Chen, A. and Cotter, S. (2016). The Amblyopia studies, The clinical impliacations. Advances in Ophthalmology and Optometry, 1, pp.287-305. Chuka-Okosa, C. (2004). Amblyopia: Types, Presentation And Treatment – A Review. Nigerian Journal of Ophthalmology, 11(2). Handa, T., Ishikawa, H., Shoji, N., Ikeda, T., Totuka, S., Goseki, T. and Shimizu, K. (2015). Modified iPad for treatment of amblyopia: a preliminary study. Journal of American Association for Pediatric Ophthalmology and Strabismus, 19(6), pp.552-554. Hess, R. and Thompson, B. (2015). Amblyopia and the binocular approach to its therapy. Vision Research, 114, pp.4-16. Le Vay, S., Wiesel, T. and Hubel, D. (1980). The development of ocular dominance columns in normal and visually deprived monkeys. The Journal of Comparative Neurology, 191(1), pp.1-51. Levi, D. (2017). Amblyopia☆. Reference Module in Neuroscience and Biobehavioral Psychology. Maconachie, G. and Gottlob, I. (2015). The challenges of amblyopia treatment. Biomedical Journal, 38(6), pp.510-516. Maggi, C. (1959). CLASSIFICATION OF AMBLYOPIA. British Journal of Ophthalmology, 43(6), pp.345-360. Rutstein, R. (2005). Contemporary issues in amblyopia treatment. Optometry – Journal of the American Optometric Association, 76(10), pp.570-578. Sloper, J. (2016). The other side of amblyopia. Journal of American Association for Pediatric Ophthalmology and Strabismus, 20(1), pp.1.e1-1.e13. Stewart, C., Wallace, M., Stephens, D., Fielder, A. and Moseley, M. (2013). The effect of amblyopia treatment on stereoacuity. Journal of American Association for Pediatric Ophthalmology and Strabismus, 17(2), pp.166-173. Wang, J. (2015). Compliance and patching and atropine amblyopia treatments. Vision Research, 114, pp.31-40.